David Buckingham is a scholar, writer and consultant specializing in young people, media and education. He is an Emeritus Professor at Loughborough University, and a Visiting Professor at Kings College London. In 2019-21, he will be a Leverhulme Trust Emeritus Fellow. He was for many years a Professor of Education at the Institute of Education, London University (now part of UCL), where he was the founder and director of the Centre for the Study of Children, Youth and Media. David is a leading internationally recognized expert on children’s and young people’s interactions with electronic media, and on media literacy education. He has directed more than 25 externally-funded research projects on these issues, and been a consultant for bodies such as UNESCO, the United Nations, Unicef, the European Commission, Ofcom (the UK media regulator), and the UK government. David continues to undertake research, consultancy and evaluation, most recently for organizations such as the Media Education Association, Space Studios, and Family, Kids and Youth. David is the author, co-author or editor of 30 books, and more than 220 articles and book chapters. His work has been translated into 15 languages. 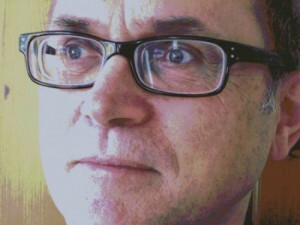 His key publications include Children Talking Television (1993), After the Death of Childhood (2000), Media Education: Literacy, Learning and Modern Culture (2003), Beyond Technology: Children’s Learning in the Age of Digital Culture (2007) and The Material Child: Growing Up in Consumer Culture (2011). His most recent academic books are The Civic Web: Young People, the Internet and Civic Participation (2013) and Youth Cultures in the Age of Global Media (2014). He has also written novels, including On the Cusp (2015), a comic tale about ‘regeneration’ in contemporary London. Much of his current research and writing focuses on historical dimensions of children, youth and media: his collection of essays, Growing Up Modern: Childhood, Youth and Popular Culture Since 1945, is available on this site. In 2019, he will take up a Leverhulme Trust Emeritus Fellowship, working on historical aspects of children’s media in the United States. He is also currently writing a ‘manifesto’ for media education, to be published by Polity Press in 2019. David has been a Visiting Professor at several universities in the UK, the United States, Norway, Australia, Italy, Hong Kong and South Africa, and has taught and addressed conferences in more than 35 countries around the world. His work has been disseminated in a wide range of print and broadcast media, nationally and internationally. He is a nominated Fellow of the Academy of Social Sciences, and an elected Fellow of the British Academy.